The Chinese of This Chinese Idiom "An Old Man Lost His Horse--Sai Weng Shi Ma" is 塞翁失马, and Pin Yin sài wēng shī mǎ. Long long time ago, there was an old man of foresight at the border of the state, who made a living by raising horses. One day, one of his horses bolted away and run into the hostile neighboring state. Hearing of this, all his friends felt sorry for his loss and came to comfort him. But to their their surprise, the old man was not bothered at all by the loss. In fact, he said, "losing a horse, of course, is a bad thing, but who knows! It will not bring good results?" Just as he had expected, a couple of months later, the missing horse return home safely, and also brought back with it a fine horse from the neighboring state. "What a lucky man!" everyone who learned of this admired his good fortune. But the old man was totally insensible to the windfall, and said with worry, "Who knows! This may bring disaster to us then?!" Sure enough, later in the year, the farmer's young boy fell and broke his leg while riding the fine horse out. His friends and neighbors came again to comfort the old man, but he was still very calm in the face of the accident and reassured these kind people with his pet phrase, "Who knows! This may bring us good fortune after all!" Although his friends and neighbors were used to his unexpected talks and knew most of them had been proved to be correct, they highly doubted it this time, because they could not see any good thing that might be brought by his son's disability. However, soon the prophecy of the old man was fulfilled again. A year later, when the neighboring state sent troops across the border, all the young and strong men were drafted to fight the invaders, and most of them died in the battlefield. The old man's son was not drafted because he was crippled. Thus, the old man and his son both survived through the war. This idiom story is from The Huai Nan Zi (淮南子) is a second century BC Chinese philosophical classic from the Han dynasty that blends Taoist, Confucianist, and Legalist concepts, including theories such as Yin-Yang and the Five Phases. 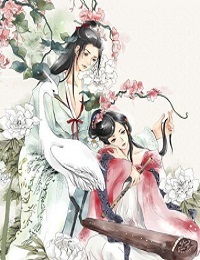 This idiom story is actually a sample that the author used to illustrate the basic principle of Taoism: "Misfortune, that is where happiness depends; happiness, that is where misfortune underlies"
Moral of this story: There's no use in overreacting to the events and circumstances of our everyday lives. Many times what looks like a setback, may actually be a gift in disguise. And when our hearts are in the right place, all events and circumstances are gifts that we can learn valuable lessons from. The English counterpart of the idiom of is "Nothing so Bad, as not to be good for something".